NFS Carbon Gains Some "Talent"
EA announce that Hollywoods "Emmanuelle Vaugier" of Saw II fame is set to take the leading role in the upcoming racing title. 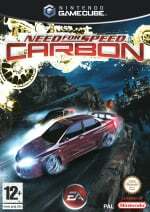 The latest Need For Speed title branded "Carbon" was announced a few weeks ago and will appear on pretty much every format you can shake a stick at. With today's announcement it seems Electronic Arts trusts the Hollywood talent to add a bit of depth into the forthcoming NFS game, we reckon it'll probably need alot more than that. "An emerging young Hollywood talent, Vaugier has a recurring role on the CBS hit sitcom Two and a Half Men. She has also recently starred in the films Saw 2 and 40 Days and 40 Nights, and was selected to Maxim’s annual top 100 females list in May. In Need for Speed Carbon, Emmanuelle stars as Nikki, the ex-girlfriend of the hero who has returned to town to face his mysterious past." The game won't be coming out for quite a while, but stay tuned for more updates and screenshots as we get them. Can someone explain how she is standing upright in the picture when the camera is at an angle? Anyway, it's good to see some film stars in games, rather than the other way round. Maybe its Ants dodgey phtoo editing skills? While it is nice to see actors in games, I still won't be splashing out my money to buy this game.